« WHEN DID YOU LAST HAVE YOUR TANKLESS WATER HEATER TUNED-UP? This doesn’t mean you’re not good at keeping things clean! Soap scum can build up faster in your bathtub and other areas when you have hard water present. This is because the minerals prevent soap from dissolving easily. This is just a symptom of a larger problem though. We’re talking about after you wash your glassware. 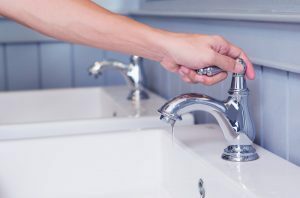 The water spots are harmless, but they are a sign that your dishwasher is slowing accumulating damage from the same hard water molecules that can jam your pipes and cost homeowners thousands of dollars in plumbing repairs. This is a sign of a potential plumbing catastrophe. That same type of buildup you see outside of the faucet is happening within it, too, and in your pipes. Slowly, the mineral deposits continue building up and restrict the volume inside of the pipes. Eventually, you’ll probably need to replace your faucet and your water pipes—far sooner than you expected to. No, we aren’t just talking about vanity issue. This shouldn’t be ignored, as it is absolutely one of the signs of hard water. Hard water dilutes your shampoo and conditioner, causing this reaction. Over time, the mineral buildup from hard water can restrict water from flowing through your pipes. In less time than that, the minerals can keep water from flowing through your shower head of faucet, clogging the showerhead or the aerator of your sink and slowing the water pressure. To temporarily relieve this, you can typically unscrew the end of the faucet and clean out the aerator—same goes for your showerhead. But remember, this is the sign of a bigger problem, and that’s something only a water softener can really manage. The same way that soap scum builds up in your bathtub, it can fail to dissolve completely in your washing machine, which can prevent clothes from rinsing off, or it can make your clothes stiff after they come out of the dryer. Contact BZ Dependable Plumbing & Heating Inc. today for exceptional customer service!